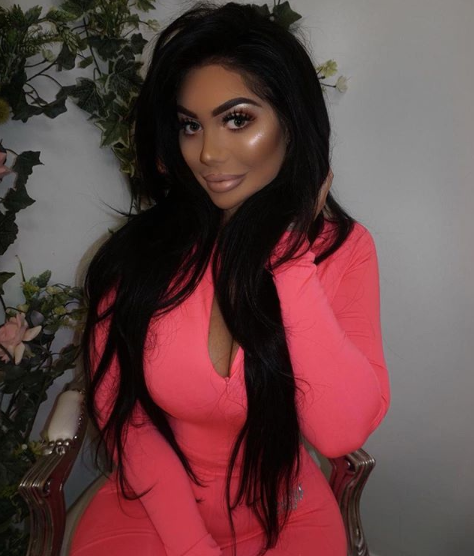 Geordie Shore star Chloe Ferry has undergone a change to her appearance in the form of a brand new hair colour, taking to Instagram to showcase her transformation from blonde to brunette. The fiery reality star, 23, shared a video with fans, posing for the camera to present her newly darkened locks, and in true Chloe spirit, was sure to sport a rather revealing get up. Smiling for the camera, the Newcastle native- who is currently dating 23-year-old Love Island star Sam Gowland– showed off her sizzling figure in a revealing blue two-piece. Filming from a front-on angle, Chloe revealed a sparkly belly button piercing and a small tattoo on her ribs. Despite the incredible new look, Chloe later shared a series of videos with followers, confessing that she has been receiving some unpleasant comments on her photos. Ranting on about the hurtful trolls, Chloe continued to express her disgust at the offensive remarks, branding the commenters as ‘Internet bullies’. ‘How are these people allowed on social media? Like, I’m not being funny but how can someone go on someone’s photo and comment a nasty thing? How is this allowed? This shouldn’t be allowed. This is Internet bullying. ‘If you don’t like what you see, if you don’t like us, then unfollow us. I honestly believe something needs to be done.